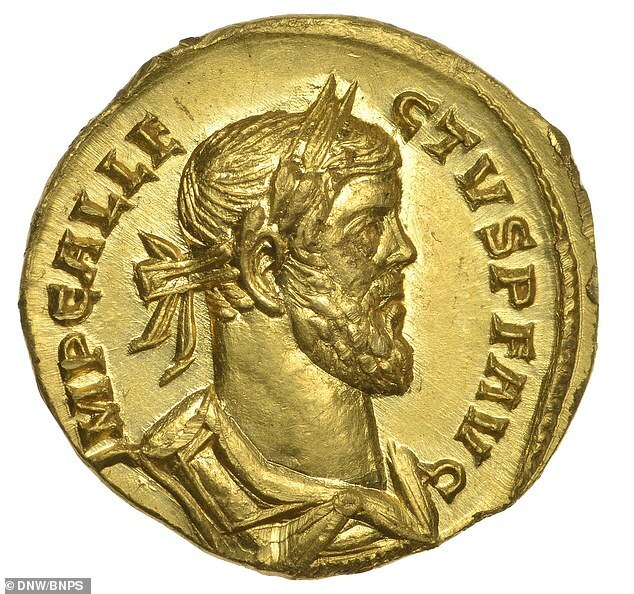 It is emblazoned with the face of Emperor Allectu who is being touted as the first Brexiteer after he took Britain out of the Roman Empire during his reign around 293AD. The 24-carat gold coin, known as an Aureus, is expected to sell for £100,000 ($130,000) when it goes to auction later this year. The 30-year-old finder initially thought the coin was fake due to its condition until it weighed in at a hefty 4.31 grams – confirming its provenance.